Purity of sound and perfect craftsmanship marked Anton Webern’s journey from his intensely expressive early songs through to the new perspectives cultivated in his Op.23 and Op.25 settings. Webern ‘rehabilitated the power of sound’ and in so doing broke new ground in the Bagatelles for string quartet and in the String Quartet, Op.28. This recording is rounded off with the powerful Cantata, Op.29 and Webern’s 1923 arrangement (for flute, clarinet, violin, cello and piano) of Schoenberg’s Chamber Symphony, Op.9. 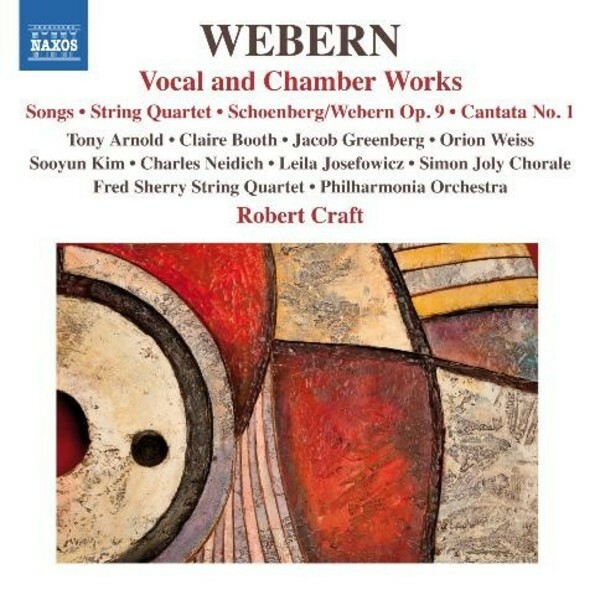 This release completes Robert Craft’s second Webern cycle.